Turn the oven/grill on to about 180°-200°C depending on how hot your oven/grill gets. I always put my grill on 200°C and then turn it down once the tomatoes start grilling. Wash and pat dry the Roma Tomatoes then cut them into half. 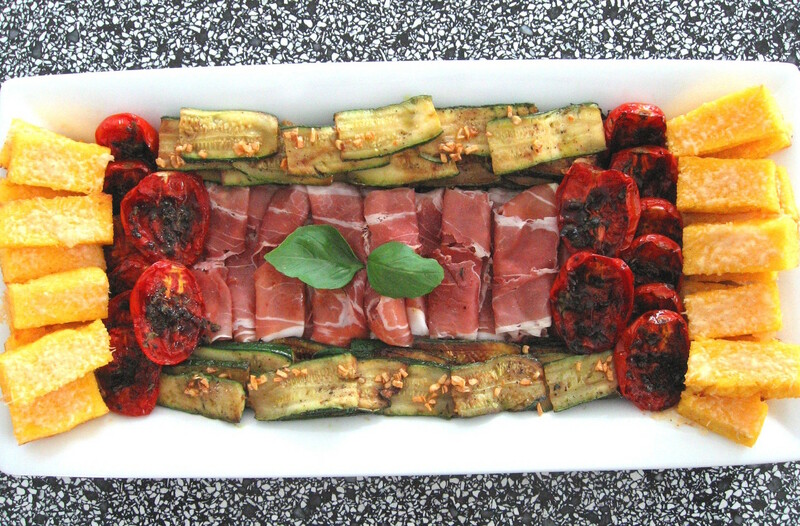 Place some baking paper on a tray large enough to hold the 24 tomato halves. 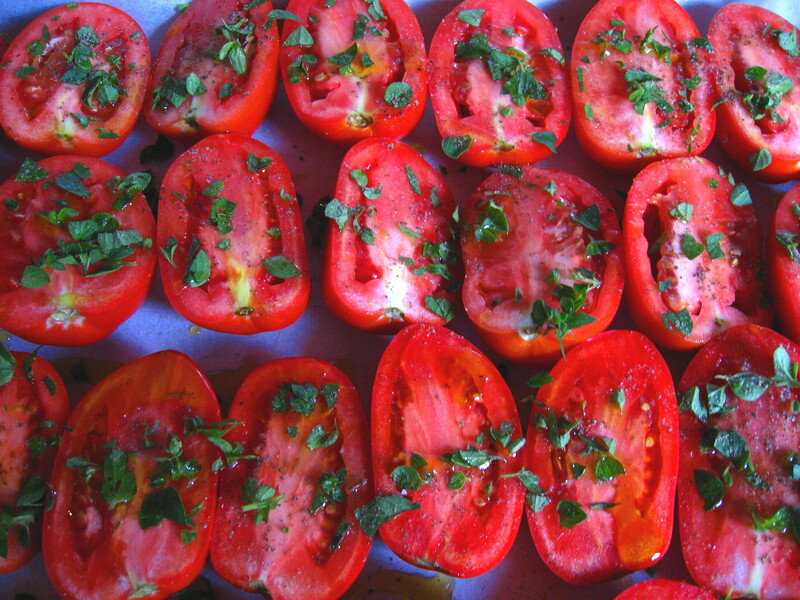 Drizzle the olive oil onto your tomatoes, add the Sweet Marjoram, salt and pepper to taste. Place the tray in the oven or under the grill and cook. Check on the tomatoes to see how they are cooking. If you can see that they are browning too quickly on the edges, turn the heat down. Once they start softening drizzle a little more olive oil. It takes approximately 20 minutes to grill in my oven. When they look ready drizzle with the Balsamic Glaze and put back under the grill for a few more minutes. The glaze will look blended with the tomatoes. 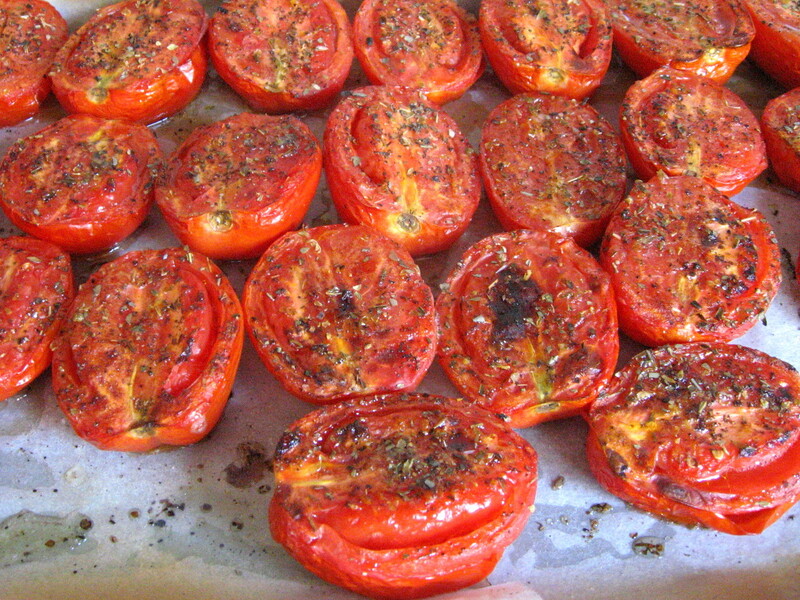 Once finished remove from the grill and allow the tomatoes to cool down. Once cooled you can place the tomatoes in a container and refrigerate to use later. I use these in a number of ways such as on toast for breakfast, in an antipasto platter or in a sandwich with cold meat. They are also wonderful in a salad. They never last very long in my fridge. My grill is in the oven however, if your grill is separate to the oven, do keep an eye on the temperature so the tomatoes don’t burn. Turn the temperature down and allow it to cook for longer. Always keep an eye on the progress to ensure they are cooked to perfection. I prefer to use Roma Tomatoes as they have less water content. If you notice a little bit of juice on the tray, as they are grilling, this is fine. The juice will thicken once the tomatoes have cooled. 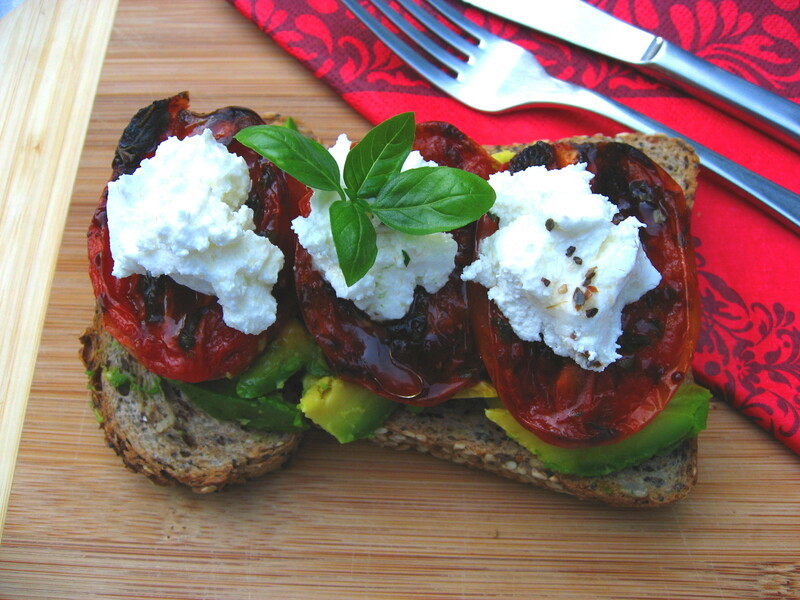 When using dry Marjoram sprinkle over the tomatoes sparingly. You can always add more when you drizzle the extra olive oil during cooking. That way you will see whether you prefer more or less Marjoram. If you prefer to use another type of herb feel free to do so. I have used Oregano or Thyme but my all time favourite is Sweet Marjoram. (In the above recipe I have used fresh & dry Marjoram).